This week, Log Lines is pleased to feature a guest post by USS Constitution Museum Development Associate Brian Miskell. This past Saturday the nation stopped to remember the great loss of life sustained and the great feats of heroism and valor performed by members of the armed forces stationed at Pearl Harbor when the Japanese attacked on the morning of December 7, 1941. When looking at the roster of ships moored in Pearl Harbor or on patrol just outside the harbor on that “date which will live in infamy,” one finds many familiar names of former officers of “Old Ironsides,” including Hull and Preble. As you look deeper, you find other ships that made significant contributions to repel the attack named after men with connections to Constitution that are less obvious. USS Ward is one of these. The shot from No. 1 gun missed…The shot from No. 3 gun fired at a range of 560 yards or less struck the submarine at the waterline which was the junction of the hull and coning tower. Damage was seen by several members of he crew. This was a square positive hit …The projectile was not seen to explode outside the hull of the submarine. There was no splash of any size that might results from an explosion or ricochet… Immediately after being hit the submarine appeared to slow and sink. She ran into our depth charge barrage and appeared to be directly over an exploding charge. The reported sighting of a submarine periscope…in close proximity to Pearl Harbor, even though not verified, should have put the entire Navy command on the qui vive and when at 6:40 a.m. the presence of a submarine was definitely established, the entire Navy command should have been on a full alert…The evidence does not reflect that the sighting and sinking of a submarine, particularly in close proximity to Pearl Harbor, was of such frequent occurrence as to justify the failure to attach significance to the events of the morning of December 7. 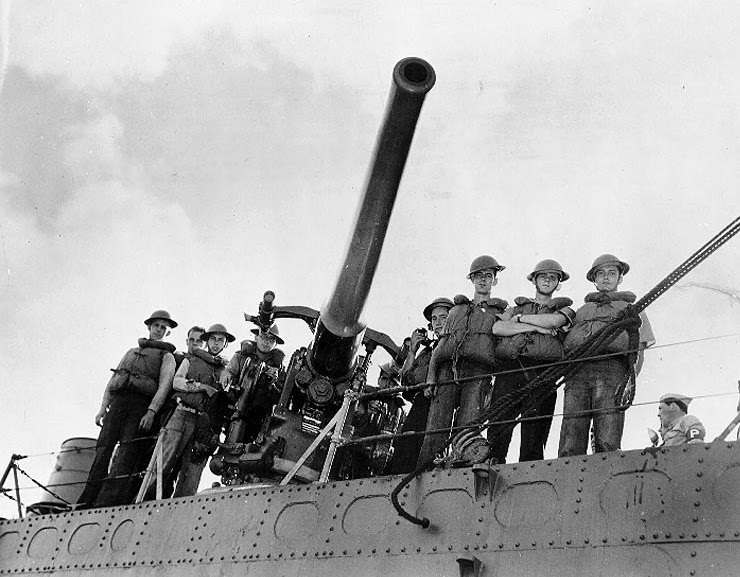 In his after action report to the Commandant of the 14th Naval District, the Commander of Destroyer Division 80, Outerbridge’s Commanding Officer, stated that “the quick decision and prompt effective action of the Commanding Officer and crew of the Ward are considered highly commendable” and he “strongly recommended [Outerbridge] for the award of the Navy Cross,” the second highest award that can be presented to a member of the United States Navy. 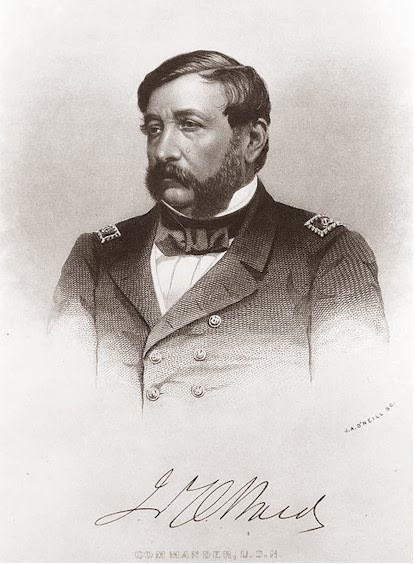 James H. Ward, in an engraving of about 1861. 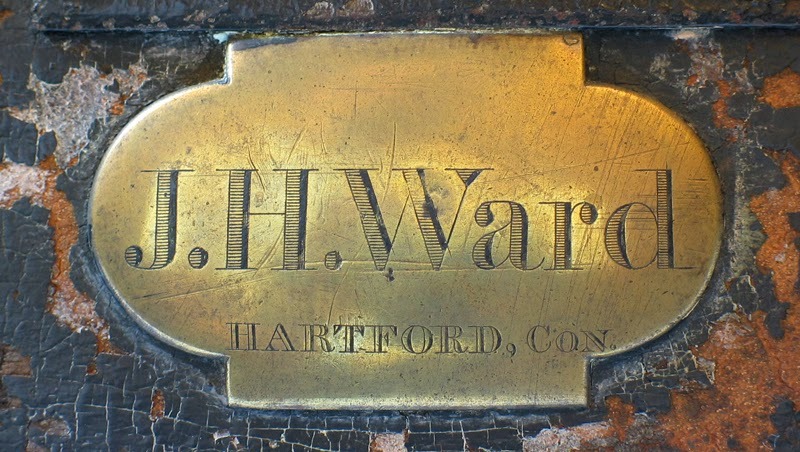 The brass nameplate from a leather chest given to J.H. Ward by Constitution Gunner John Lord between 1824 and 1829. USS Constitution Museum Collection. 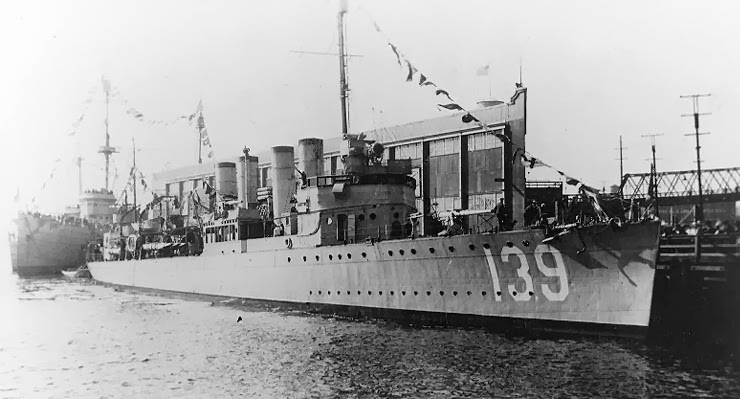 USS Ward, a Wickes-class destroyer sponsored by Miss Dorothy Hall Ward, was launched on June 1, 1918 and commissioned on July 24, 1918 under the command of CDR Milton S. Davis. Over the next three years, Ward served in both the Atlantic and Pacific Oceans, participating in annual fleet training maneuvers, making port visits, and serving as a navigational aid and providing lifeguard services for transatlantic flights. She was decommissioned on July 21, 1921 and placed in reserve on “Red Lead Row” in San Diego until rising tensions with the Axis Powers required her return to service on January 15, 1941. After refitting, Ward was dispatched to Pearl Harbor to join Destroyer Division (DesDiv) 80, part of the 14th Naval District headquartered at Pearl Harbor, to provide anti-submarine patrol off the harbor’s entrance channel. In the wake of a November 27 war warning from Washington, D.C., Ward and the other ships of the Inshore Patrol were ordered “to depth-charge suspicious submarine contacts” operating in the defensive sea areas. Following the attack on Pearl Harbor, she continued service as part of the Inshore Patrol until ordered to Bremerton, Washington in 1942 “for conversion to a high-speed transport at the Puget Sound Navy Yard.” Now designated APD-16, Ward set sail for Espiritu Santo and the war in the Pacific in February 1943 to join the Seventh Fleet. Over the next year and a half, the ship transported Marines, soldiers, and Seabees to various islands, escorted larger transports in convoy, and provided anti-submarine and anti-aircraft patrol in support of operations off New Guinea and in the Philippines. On the morning of December 7, 1944, Ward was on patrol off Leyte Island in the Philippines in company with USS Mahan (DD-364) when a flock of nine Japanese planes attacked the two ships. One of the Japanese planes struck by Ward’s anti-aircraft fire crashed into the ship causing uncontrollable fires below decks. The plane penetrated the hull, entering one of her boiler rooms and a lower troop space, before one of the plane’s engines exited through the starboard side. Ward received aid from several nearby ships, including USS O’Brien (DD-725), under the command of LCDR William W. Outerbridge, the same officer who commanded Ward off Pearl Harbor. Despite their best efforts to fight the blaze, the fires were too fierce and the crew abandoned ship. The Task Group commander ordered Outerbridge to sink Ward with gunfire and at 11:30 AM on December 7, 1944, three years after her valiant defense of the approaches to Pearl Harbor, Ward sank in Ormoc Bay off Leyte. Naval History and Heritage Command, “USS Ward, Report of Pearl Harbor Attack.” Accessed December 13, 2012. http://www.history.navy.mil/docs/wwii/pearl/ph97.htm. U.S. Congress. Joint Committee on the Investigation of the Pearl Harbor Attack. Investigation of the Pearl Harbor Attack: Report of the Joint Committee on the Investigation of the Pearl Harbor Attack.79th Cong. Laguna Hills, CA: Aegean Park Press, 1994 (Orig. pub. 1946), 139. “Commander Destroyer Division EIGHTY, Report for Pearl Harbor Attack.” Naval History and Heritage Command. Accessed March 3, 2013. http://www.history.navy.mil/docs/wwii/pearl/ph9.htm. Outerbridge did receive the Navy Cross for his actions that morning. It should also be noted that USS Patterson, named in Captain Patteron’s honor, was also in Pearl Harbor on the morning of December 7, 1941. Patterson’s Commanding Officer claims in his after action report to Admiral Husband E. Kimmel, Commander in Chief, US Fleet, that Patterson’s number 2 gun shot down one Japanese plane during the attack “based on the absence of any burst nearby at this instant and the belief that the sudden and complete disintegration of this plane could not have been cause by a hit from any small caliber gun. Patterson got underway at 9:00 am. Naval History and Heritage Command. “Patterson.” Dictionary of Naval Fighting Ships. Accessed January 29, 2013. http://www.history.navy.mil/danfs/p3/patterson-ii.htm. USS Constitution Watch and Quarter Bill, 1825, Daniel Todd Patterson Papers, Manuscripts Division, Library of Congress. Naval History and Heritage Command. “Ward.” Dictionary of Naval Fighting Ships. Accessed December 13, 2012. http://www.history.navy.mil/danfs/w3/ward.htm. The rank of Executive Officer for the Naval Academy was renamed Commandant of Midshipmen. Ibid.